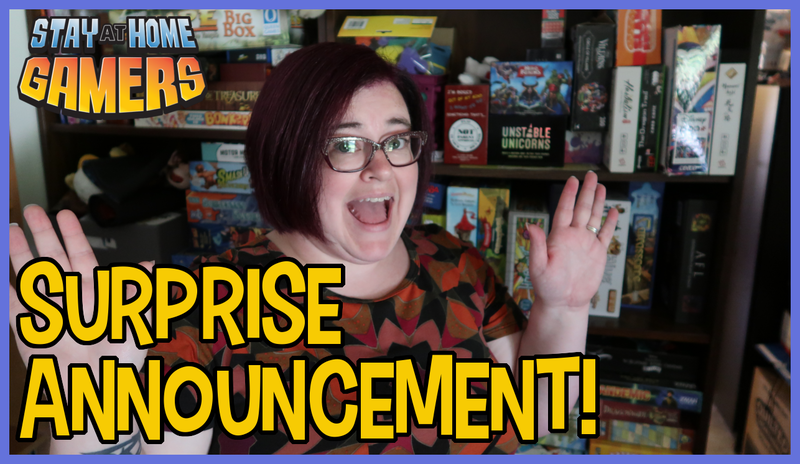 Next The Stay-At-Home Gamers Family Game Box is Coming Soon! Do you want to find fun ways to spend quality time with your family? Whether you are thinking about playing games with your kids or already plan regular game nights, our family game night challenge is an excellent way to hang out together. 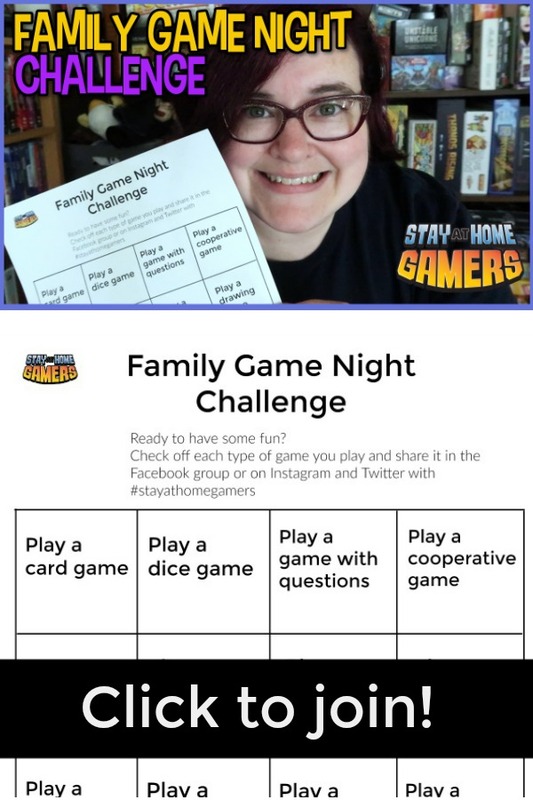 What is the family game night challenge? 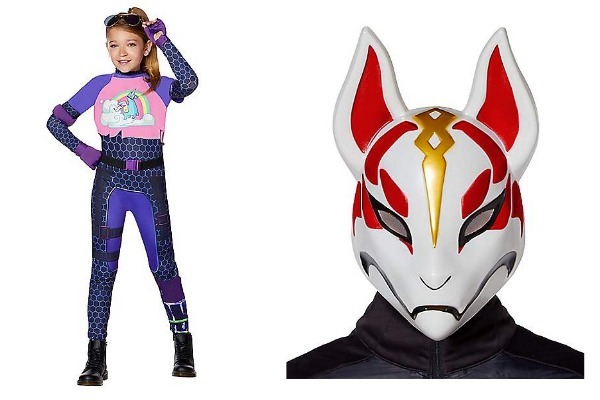 It's a free challenge to encourage and inspire playing games together as a family. Participants may join our Positive Family Gaming group where we will discuss different types of games and exchange family game night ideas. Participating is a great way to create a regular family game night or get back into planning them. Connect with your kids while helping them build skills at the same time! What is the time commitment for the family game night challenge? That's up to you! This challenge is self-paced, so you can work through the checklist in the way that works best for you. We suggest at least once a week for about 20-30 minutes. 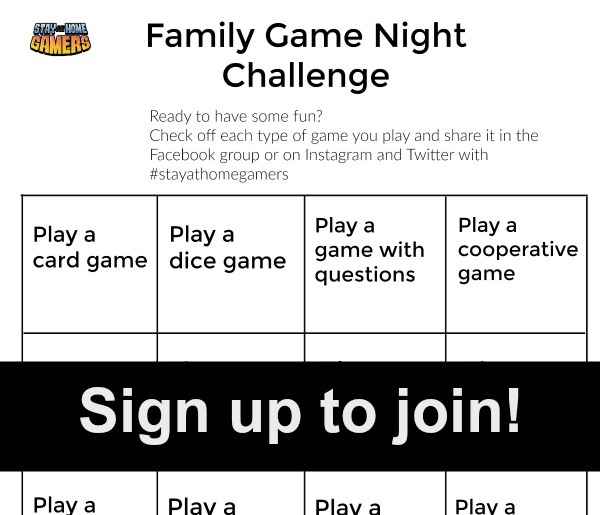 What games are needed to complete the family game night challenge? No specific games are required to take part in this challenge. There are themes (like travel or animals) and types of games listed, such as a card game or dice game. There are lots of different board games and video games that can fit for each square on the challenge printable. This makes the challenge accessible to more families because you can use games you already own. You can even make up your own games! We will be providing suggestions and recommendations as well in case you want to add something new to your gaming rotation. The first step is to sign up by subscribing to our newsletter. The challenge printable will be delivered straight to your inbox! After subscribing, join our Positive Family Gaming Facebook Group. Watch for the confirmation email from Darcy. You need to click on the link inside the email to confirm your subscription and download the printable. Print out the challenge printable and have fun! Yes! 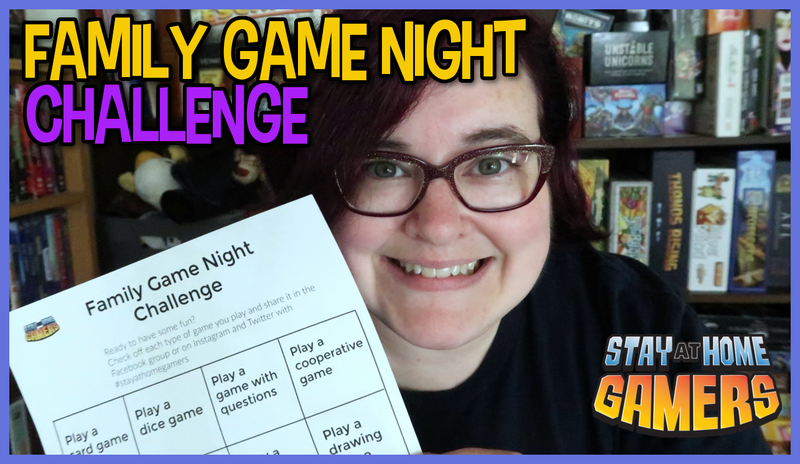 I want to join the family game night challenge! Subscribe to stay up-to-date on our family game box, get family gaming tips, and other surprises by email.